Spin Memory (previously Spin Transfer Technologies) announced that is has signed a licensing agreement with Arm. The license includes Spin Memory's Endurance Engine technology and IP - and as part of the agreement Arm and Spin memory will also work together to create SRAM-class MRAM design solutions. 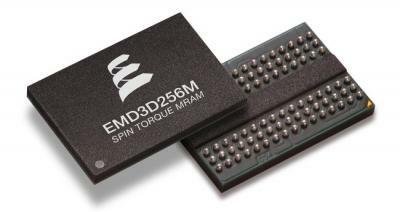 Spin Memory's Endurance Engine is a design architecture that is used to develop embedded MRAM solutions. Everspin announced its financial results for Q3 2018 - revenues increased 28% year-over-year to reach $11.5 million, and the company's net loss was $ 5.6 million. Everspin says it is pleased with the progress it made in the quarter in both its Toggle MRAM and STT-MRAM product lines. The company remains on track with its planned 1Gb STT-MRAM chip sample in December 2018. Everspin announced that it has entered into a multi-year partnership with Malaysia-based SilTerra and to establish a Toggle MRAM production center in Malaysia. Bosch Sensortec, a licensee of Everspin's TMR sensor IP is also a part of this agreement. SilTerra and Everspin's new Malaysian production center will start initial production in 2020. Everspin says that it is seeing growing demand for its Toggle MRAM products in the industrial, computing, medical, and transportation markets. Everspin will continue to produce Toggle MRAM and TMR sensor products at its own manufacturing line in Chandler, AZ, USA. The STAR Memory System's new algorithms target failure mechanisms of embedded MRAM and other types of non-volatile memories during production and in-field test. Support for multiple background patterns and complex addressing modes accelerates automated test equipment (ATE) vector generation, resulting in the highest test coverage for eMRAM, maximized manufacturing yield, and improved system-on-chip (SoC) reliability. 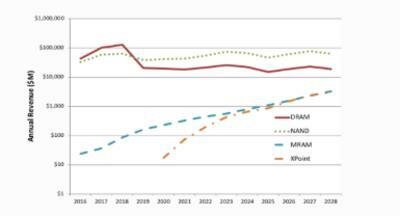 Intel says it will present a new paper detailing its MRAM research at the International Electron Devices Meeting (IEDM) in early December 2018. 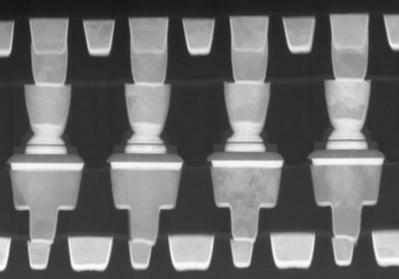 This is the first time we hear of any MRAM R&D at Intel which is great news, even if it just a research paper. Intel has apparently successfully integrated embedded MRAM into the company's 22nm FinFET CMOS technology on full 300mm wafers. The magnetic tunnel junction-based memory cells are built from dual MgO magnetic tunnel junctions (MTJs) separated by a CoFeB-based layer in a 1 transistor-1 resistor (1T-1R) configuration in the interconnect stack. Intel has manufactured a 7.2Mbit array with reported data retention figures in excess of 10 years and write endurance of greater than 10^6 cycles. The MRAM Developer Day 2018 took place on August 6th, as part of this year's Flash Memory Summit. This seemed to have been an interesting event, with presentations from Everspin, GlobalFoundries, IBM, Applied Materials, Spin Transfer Technologies and more. The organizers of the event posted the entire proceedings online - you can see all presentations here.